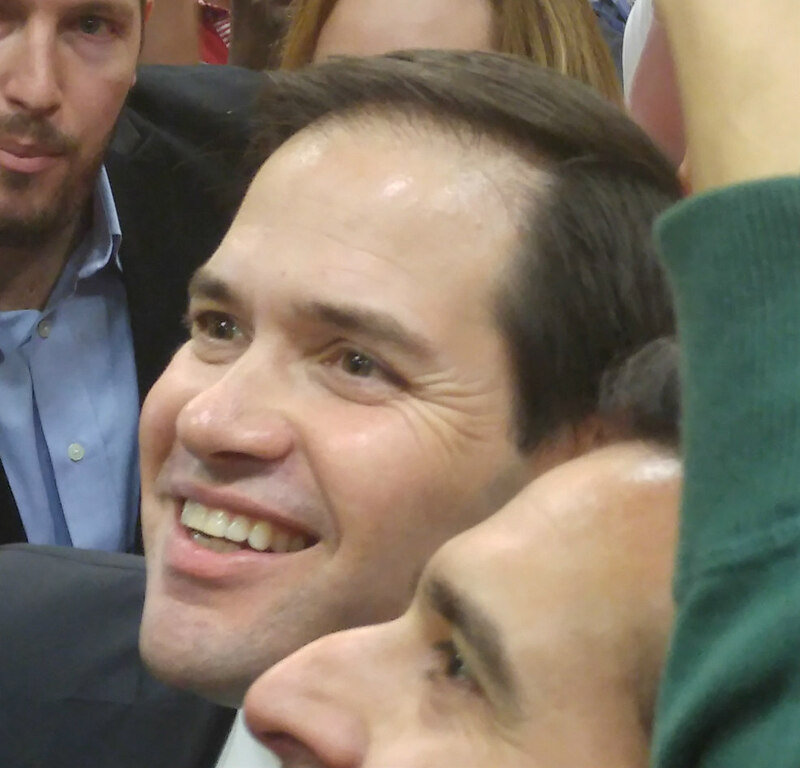 CaptainKudzu: Should Marco Rubio drop out? Should Marco Rubio drop out? After his underwhelming showing Super Tuesday, many Republicans are calling on Marco Rubio to drop out of the presidential race in order to unify conservatives behind Ted Cruz. Increasingly, many conservative Republicans see Cruz as the only viable alternative the candidacy of Donald Trump. Cruz himself called on Rubio to drop out just before Rubio won the Minnesota caucuses on Super Tuesday. The next round of primaries in on March 5-6 with votes in Kansas, Kentucky, Louisiana, Maine and Puerto Rico. A few days later on March 8, Hawaii, Idaho, Michigan and Mississippi go to the polls. On March 12, the District of Columbia and Guam hold their primaries. Trump, Rubio trails Trump by 13 points. Cruz is seven points behind Rubio. In Michigan, the most recent polling shows Rubio and Cruz in a dead heat with both of them 15 points behind Donald Trump. Again this poll, was prior to the Houston debate. One of the overlooked points from the Super Tuesday primaries is that, in spite of winning, Donald Trump underperformed compared to the polling. In Oklahoma, Trump was favored to win by 11 points, but lost to Cruz by six. In Virginia, Trump was up by 13 points, but only beat Rubio three points. In other states such as Georgia, Tennessee and Texas, Trump also performed worse than expected. In contrast, in Minnesota, the only state that Rubio won outright, he won 13 points over the most recent polling from January. The election results seem to indicate that Marco Rubio’s strategy of playing Trump’s game of personal attacks and ridicule had an impact. Had Rubio started his attacks a few days or a week earlier, the results might have been dramatically different. At this point, it looks premature for Rubio to drop out of the race. There is another debate tomorrow where Rubio can continue his sharp attacks on Trump’s credibility and business experience. The revelations about Trump’s involvement with the now defunct Trump University and the ongoing fraud trial involving the school lend credence to Rubio’s charge that Trump is a “con man.” Trump’s refusal to disavow racist endorsements and supporters such as the Ku Klux Klan have come to light in recent days and will likely damage his reputation among many voters as well. The big prize that looms ahead is the March 15 Super Tuesday. On that day, the primaries of Florida, Illinois, Ohio and the Northern Marianas are winner-take-all. If a candidate earns above 50 percent in Missouri, that primary is winner-take-all as well. North Carolina also has a primary that day where delegates are distributed proportionally. Trump leads in all these states. In Florida, Trump leads in a pre-debate poll that shows Rubio gaining ground, but still trailing by 16 points. Cruz is a distant third. More pre-debate polling in Illinois shows Rubio trailing Trump by 17 points. Cruz trails Rubio by another five points. In Ohio, Kasich trails Trump by five in his home state. Cruz trails Kasich by five and Rubio is a distant fourth. In North Carolina, a poll showed Cruz trailing Trump by nine and leading Rubio by three in the middle of February. After the second Super Tuesday, Utah and Arizona are the next states of any size. Current polling shows both of these favoring Marco Rubio. Rubio led outright in Utah in early February. The last Arizona poll from October showed the state going for Carson, who was followed by Trump. Rubio placed third ahead of Jeb Bush and Cruz who were both in single digits. In short, upcoming states look more favorable to Marco Rubio than to Ted Cruz. March 1 was supposed to be Ted Cruz’s big day. His strongest supporters were supposed to be the evangelicals of the South. Instead, Trump has performed stronger among Christians and swept most of the South except for Cruz’s home state. The only demographic that Cruz has won reliably is “very conservative” voters. Very conservative voters will be in short supply in the upcoming states of Florida, Illinois and Ohio. If Rubio were to drop out prior to March 15, it is likely that Kasich, not Cruz would be the primary beneficiary of Rubio voters and that Trump would still win. Finally, winning the nomination is only half the battle. The winner of the Republican nomination will then go forth to battle the presumptive Democratic nominee, Hillary Clinton. Rubio is generally viewed as the best choice to defeat Hillary. Trump is viewed as the most likely loser. Ted Cruz is polling in within the margin of error in national polls against Hillary, but would also likely lose the crucial swing states that will decide the election. Cruz’s hard line on immigration would cost him the votes of Hispanics and other immigrant Americans who will cast the deciding votes in Florida, Ohio and Colorado. If Cruz did defeat Trump, he would probably lose to Hillary. While it isn’t yet time for Rubio to suspend his campaign, that time may come soon. If Rubio performs poorly in the upcoming small state primaries, that will be a sign that his new strategy isn’t working. There will be more polling from the March 15 states that should show if the Rubio surge is continuing. If Cruz surges based on his Super Tuesday victories while Rubio declines then the Rubio campaign will have a hard choice to make. If Trump steamrolls the winner-take-all states, it will make him the prohibitive favorite to win the nomination. The only hope for anti-Trump Republicans at that point will be a contested convention. In that case, anything can happen and the possibility that Mr. Trump would emerge from the fracas with the nomination anyway should not be discounted. If the nomination is denied to Mr. Trump at the convention, it would likely leave the party so divided that Hillary would win anyway. If Marco Rubio’s surge ended on Super Tuesday, his ultimate choice may depend on whether he believes it is more likely that Ted Cruz could best Donald Trump in a head-to-head matchup or whether he believes that a contested convention is the best option to prevent the Republican Party from being coopted by a con man.